I’m a Sears The Baby’s Room Ambassador! I have no baby of mine own, but I have something WAY better: a sweet grandson to love-up and then give-back. 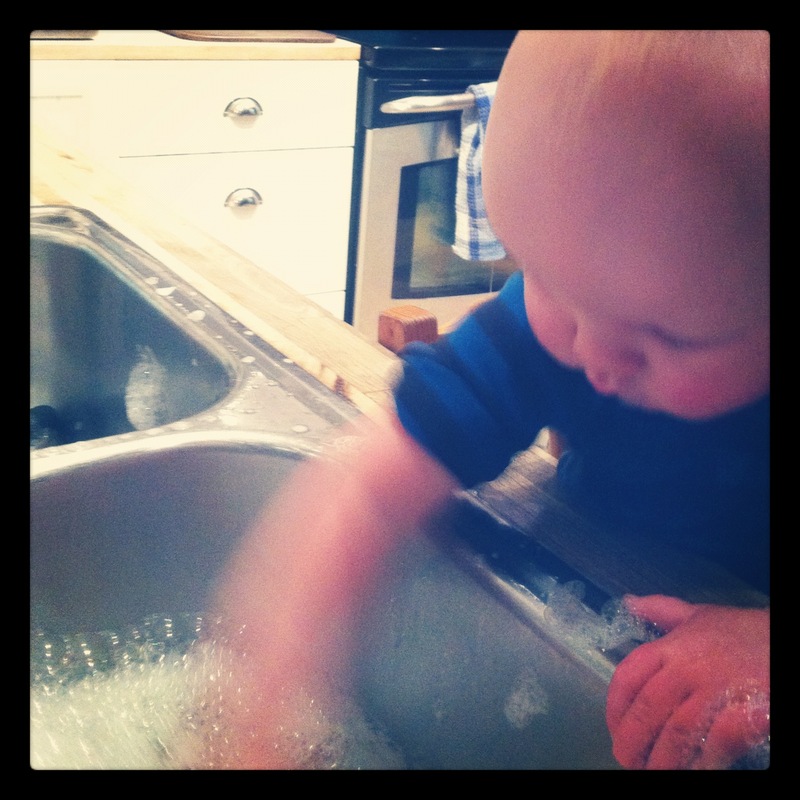 Our Brian is just 9 months old and already washing dishes! As this MommyKnows love of standing at the sink doesn’t last long, so enjoy it while you can. 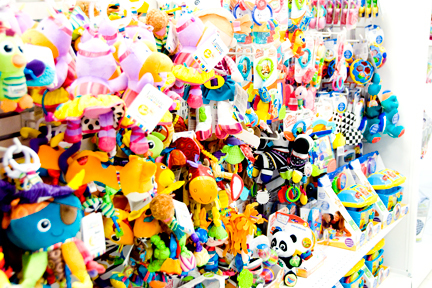 I am a baby lover and a lover of all things baby, so much so, I once owned my very own baby shop. Those days are over, but I still really enjoy having a peek through the baby section of any store, so this Sears Canada The Baby’s Room gig is right up my alley. 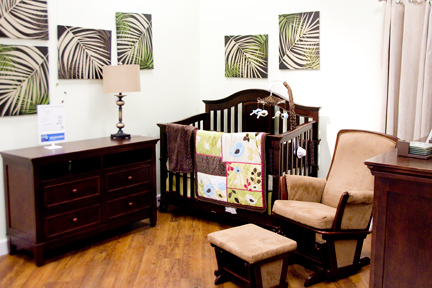 With beautifully set-up baby nurseries (beds, change tables, décor etc.). 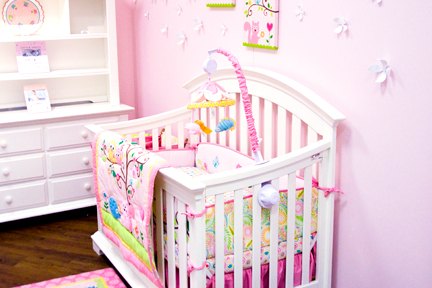 I just loved this baby girl room! The owls, the white flower decals and the lovely furniture. I loved it all. This jungle room is adorable too, but I’m still a bit hung up on the owls and flower decals. With all sorts of strollers and car seats for all kinds of budgets. 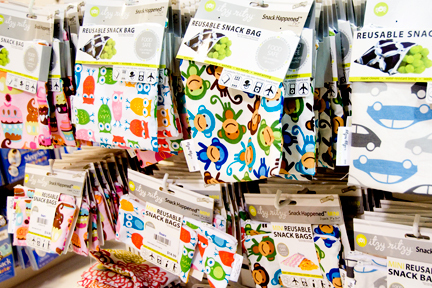 Speaking of traveling, check out these super cute snack bags to take on-the-road. To heck with the baby, I’m getting one of these for my purse. 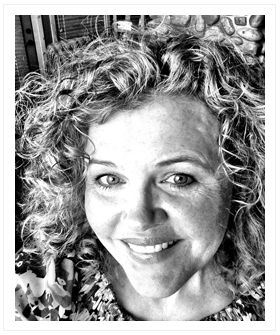 Every mom needs one – Mommyknows! It was these sorts of super cute novelty items that really surprised me. I wasn’t expecting them at Sears. I liked it! I expected the great selection of high-chairs, from the classic to the modern but once again it was the fun-funky bibs that caught my eye! 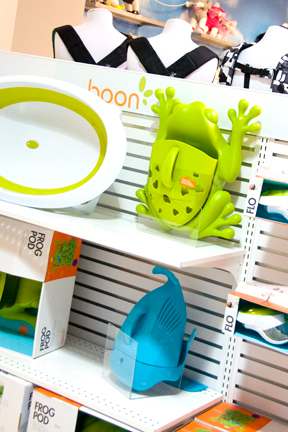 There was a tub for every baby, but every household needs a Boon Frog Bath Toy Scoop, Drain and Storage. 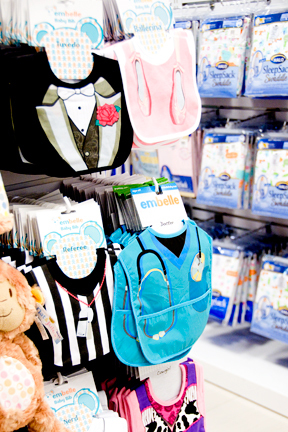 A huge selection of layette items from nightgowns to receiving blankets and of course all sorts of toys and rattles too. My sales associate Mary, is a 30+ year veteran in the baby department at Sears Canada. She knew her stuff, for new parents just starting out I can’t think of a better place to setup a baby registry! This is awesome!! LOVE, LOVE, LOVE the boots!! I might have to run and get a couple pairs of jeans for Benny Boy! !